Looking back just over three months ago, when Tony Horton and “the kids” introduced me to Yoga, I’m amazed how far I’ve come. Take Crane, for instance. It was many, many attempts over weeks and weeks of falling on my head, before I could hold Crane for 5 seconds. Today, I held Crane for 30 seconds and only came down because my wrists started hurting. I also didn’t tumble over when doing Royal Dancer and managed Standing Leg Extension with “toe lock.” I haven’t lost any flexibility since my break after Round 1 and all the moves and poses had much more stability. I’m hopeful that I will continue to perform Yoga better over the course of the next few months. 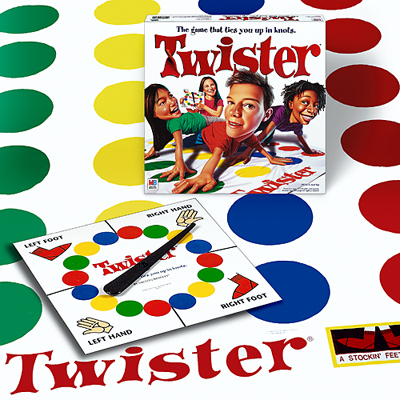 At that point, I may have a Twister party, confident that no one in my circle will be able to defeat the new Gumby-Me. What about you? Don’t be a creeper, chime in. Are you benefiting from yoga? Or are you a yoga hater? What’s your most challenging pose? Mine continues to be the Standing Splits! I enjoyed the yoga initially although I totally gave up on it due to the same excuse everyone makes, it’s too long. Then I found Tony Horton’s Fountain of Youth Yoga where he addresses the length of the P90X version and concatenates it to a 40 minute session. Presto, yoga was back and for a creaky old guy like me that is a blessing. Tony is right when he says yoga is the fountain of youth, but it’s also a pool of pain at times.